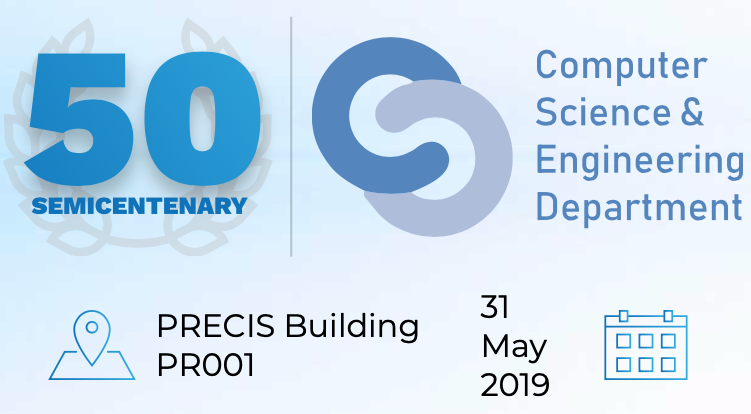 The Computer Science and Engineering Department from the Faculty of Automatic Control and Computers of the University Politehnica of Bucharest invites you to celebrate its Semicentenary Anniversary! We are celebrating half a century of human history in which our community has been shaped by the continuous interaction of our professors, students, and colleagues. The Anniversary will take place on Friday, May 31st 2019, starting at 9AM. We would love for you to join us in this moment of joy and celebration of our entire community.